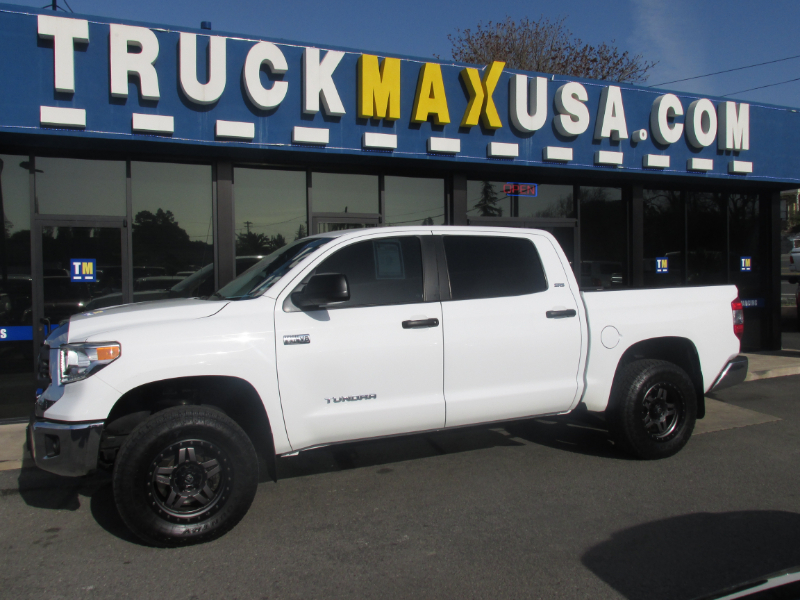 This is a superb one owner 2014 Toyota Tundra SR5 4X4 CREW MAX 5.7L V8, 4WD that is White in color and that includes AM FM Compact Disc Player, Traction Control, Side Head Curtain Airbag, Keyless Entry, Air Conditioning, Power Windows, Electronic Parking Aid, Leather Steering Wheel, Sport Package, Premium Package, Sunshade, Parking Camera, Bluetooth, Driver Power Seat, Alloy Wheels, Premium Wheels, Privacy Glass, Bed Liner, Sliding Rear Window, Towing Package and more. Includes a clean Carfax report. Well maintained and drives great.